Over the past 15 years, H.J. Stauble through its strategic joint venture partnerships has become the leading supplier of dumb iron, drill pipe & downhole tubular accessories, stabilizer,s & circulatory subs. Backed by our API Certified machine shop we are able to fulfil our customer requests with on-time delivery & quick turnarounds while maintaining the highest quality standards. We are also proud to carry a wide range of water-based drilling products derived from natural & renewable sources that combine high performance with environmental friendliness. When it comes to bottom hole assembly, there’s only one rental tool name to know – Stabil Drill. Since 1986, Stabil Drill not only has provided tough, durable tools delivered where and when you need them, but also the wellsite experience and downhole knowledge for today’s demanding drilling applications. Stabil Drill can easily fit any assembly with an inventory of more than 11,000 rental tools, including stabilizers, non-magnetic drill collars, hole openers, shock tools, torque subs, reamers, mills, subs and the SMFI Hydroclean™. Workstrings International is the global leading oilfield equipment rental company providing quality primary Drill Strings in all API Connections and Specialty Connections, Tubing, Landing Strings, Completion Tubulars (CTM, GTM and TTM,) and handling accessories using in-house engineering and cutting-edge technologies. Workstrings International is the only company in the world capable of providing the MaXit 7 5/8″ Drill Pipe Casing Landing String. 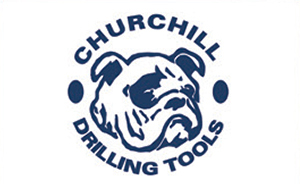 Churchill Drilling Tools is a specialist oilfield service company which delivers innovative solutions to the industry. Primarily using down-hole tools which are activated by pumping darts from surface, we offer operators higher levels of performance and reliability on range of specific operations and contingencies. The rising concern about the negative impact on the environment by offshore drilling operations initiated the development of new environmental friendly products in the 1980’s. Our range of water-based drilling chemicals is specially designed to meet this new stringent requirement where the products are derived from natural and renewable resources. Combined high performance and environmental friendliness, Oleon’s below products range is the best choice to reduce friction and wear resulting in high drilling rates and extended tool life in the most challenging circumstances.